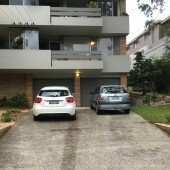 This driveway parking space is located in Wollstonecraft and available to lease. Generally available between 8am and 6pm weekdays however happy to be flexible/neg if you are wanting a long term solution. Please park on the right hand side of the driveway on Morton street.